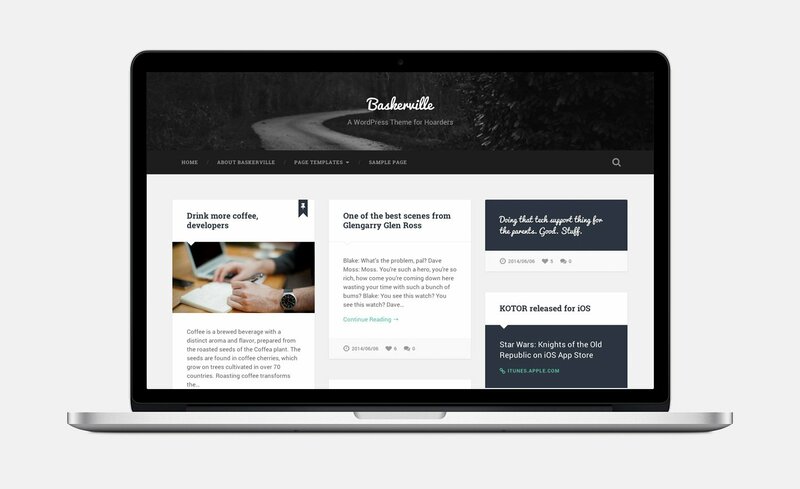 I'm happy to announce that Baskerville, my latest WordPress theme, is now available for free from the WordPress theme depository. I’m happy to announce that Baskerville, my latest WordPress theme, is now available for free from the WordPress theme depository. Baskerville sports a masonry style grid, support for all post formats and a responsive and retina-ready design. You can view a demo and download it here.